Its no secret that the key to great skin starts with skincare, its so important to use product suited for your skin type but also to know what it is your putting on your face. A few months ago I was kindly sent the Acne Ultra Cream by the Derma Group, now I am very careful when it comes to trying out new skincare products having combination but sensitive and acne prone skin it takes very little for my skin to react to products.However what caught my attention to this particular product is the fact its a natural , chemical free formula designed to help soothe and calm your skin. Now whilst I do not suffer from severe acne I only get the occasional pimple I have noticed my skin looking clearer , smooth but also nourished, as having tried other skincare products aimed at acne they can really dry your skin out. 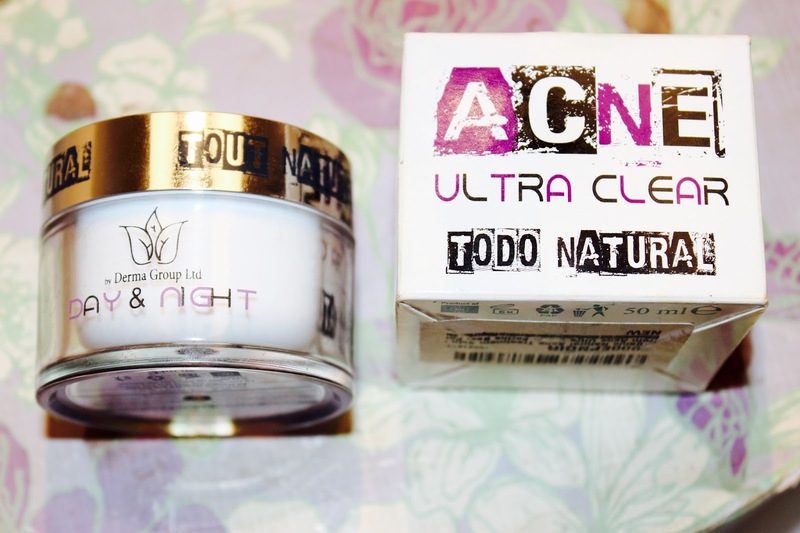 So do not be put off by the name ‘Acne’ as whether its pores, whiteheads or pimples the amazing ingredients found in this face cream have been designed to help fight all the problems listed. 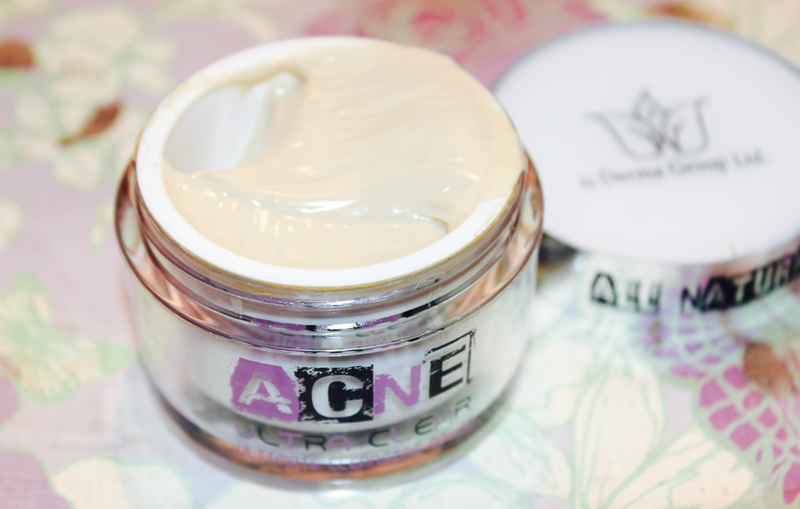 The cream whilst having a quiet thick formula does absorb in to your skin very well without leaving an oily residue. Olive oil – helps to restore your natural moisture balance and soothes dry skin . Coconut oil – i call this the miracle worker as its got so many uses. Coconut oil has a small molecular structure making it a superb absorber . Beeswax – Amazing at holding in all of your skin’s moisture and unclogging those pesky pores. These are just some of the amazing ingredients found but if you would like to find out more simply click here for a full list of all the natural goodness thats within the cream. Overall I think this is an amazing product worth trying , it is all natural so the smell reflects that however I personally prefer herbal creams as lets be honest the only reason some creams have a strong nice smell to them is simply because they have been perfumed which can cause a reaction to your skin. The lovely team at Derma Group are kindly offering a 10% off for all you lovely readers!! simply click here to get your coupon and defiantly let me know how you get on with this cream!! After cleansing my skin I like the extra step to make sure my skin is left without any traces of make up and I have been really enjoying using these cleansing pads instead of a toner. The cleansing pads have ingredients such as dragons blood, salicylic add, hyaluronic as well as witch hazel which all have beneficial effects on the skin. Whilst the hyaluronic acid hydrates and plumps the skin the salicylic acid helps to clean out your pores the witch hazel helps to tighten them and the dragons blood restores your skin making it a perfect combo. I find that these do no dry my skin out at all and help to keep it clear and toned. Another product I have been really enjoying from the Nip & Fab Dragons Blood Range is the Plumping Serum. This is a product you use morning and night before your moisturiser. The serum contains velvet flower which helps to keep your skin hydrated and contains Gransil Ep-9 which is great at absorbing excess oil this is ideal for my combination skin type. The serum is very light weight and absorbs into the skin very quickly. I have really enjoyed using this and will defiantly repurchase this as I am slowly running low on this product. Lastly is another Nip&Fab product from there Bee Sting range, the eye cream. This is another great ingredient packed product containing bee venom , propolis extract great for healing , coco butter and shea butter for hydration and softness, Tegocosmo to brighten and Elastan to firm the eye area. The consistency of the cream is quiet thick however having said that I use this morning and night and don’t find it too heavy under make up at all despite having combination skin . Overall I am very impressed with the Nip&Fab skincare products and will most certainly be trying out more of their products as they have a pretty wide range to suit various skin types. 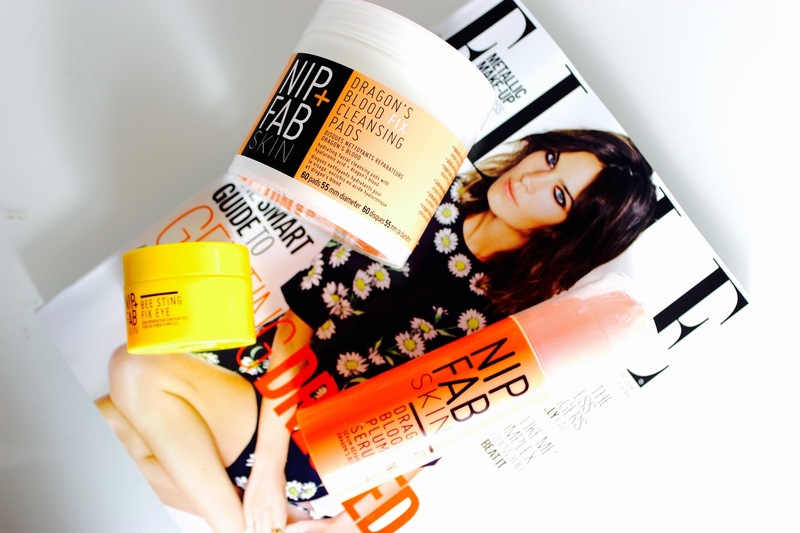 Have you tried any of the Nip&Fab Range? 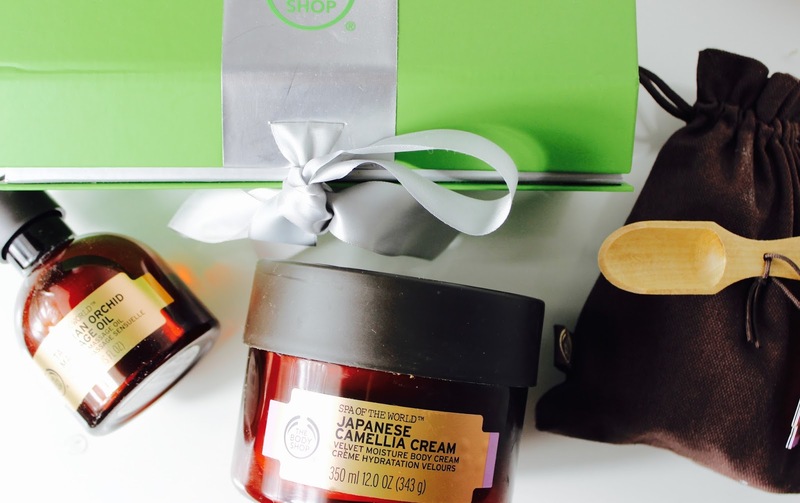 I am sure a lot of you would agree with me that when it comes to body skincare The Body Shop always seem to get it right. Their body butters are a dream , they smell beautiful and leave your skin feeling silky soft. I was recently kindly sent their Spa of the World Range which I instantly fell in love with . The whole range smells absolutely gorgeous and I would highly recommend all the items shown in the image above as they all have impressed me. The Japanese Camellia Cream is so thick yet absorbs into your skin very well leaving you with a soft yet not greasy feeling skin. The relaxing Egyptian Milk & Honey bath turns your water into a silky , beautifully smelling bath and I really notice a difference in how soft my skin feels after I’ve used it. As to the Massage oil it can be used in many ways, I like to massage it into my skin or add a few drops to my bath which leaves your skin even softer when the two combine. The collection is beautifully packaged and looks very luxe. The range contains various luxurious ingredients which have been sourced from Morocco Hawaii and Japan with calming and relaxing scents which will give you the Spa feeling at your own home. Let’s talk lashes today ladies, it is fair to say we all want long beautiful lashes and whilst some of us are lucky enough to have been born with long lashes some of us need that little extra help to thicken and lengthen them. I have to say I am quiet lucky whilst they are not ultra long naturally they are pretty thick and when a little bit of mascara is applied they are pretty lengthy to be honest. A few months ago I was kindly sent the Lilash set which includes an eyelash and eyebrow serum along with a beautiful mirror. Having never used a product like this before I was excited to give this a go and see whether my lashes would benefit from this and to my surprise I really did see results. The product application is super simple , the applicator is small and speaking from personal experience it did not irritate my eyes , in fact I felt like the formula was gentle to the eye causing no redness or any other issues. Liliash Purified Eyelash Serum works by conditioning and fortifying your lash follicles which in return help to enhance and give you the best lashes possible. By applying the product daily to the lash line overtime the formula encourages healthy growth as it penetrates down into the follicle , in other words its like a deep penetrating conditioner for your lashes. Liliash Purified Eyebrow serum works in a similar way , this is particularly great for anyone who may have over plucked their eyebrows and needs a little help helping to re-gow those hairs. As with any serums in order to see results you need to be patient you will not grow thick long lashes over night however with consistent use I can assure you, you will see a big difference in your eyelashes thickens and length. In the photos below you can see what my eyelashes look like at the moment , these are my current eyelashes without any false eyelashes only the Maybelline Colossal Mascara. Overall I was very impressed with this product and would most defiantly recommend this to anyone looking to grow longer thicker lashes , however I do think in order to keep the lashes at its best after the treatment you will need to restart the process after a while to keep up the results. The only downside is the price as it retails at £59.93 for 2.95ml and £94.37 for 5.91ml however its a product which will last you either 3 months for the smaller tube or 6 month for the bigger tube and its a product which will provide you with results, have a look at their site here and decide for yourself :). What do you think about Eyelash growth treatments? *PR SAMPLE : All opinions are my own and honest. Finding a good long lasting and good coverage drugstore foundation for combination/oily skin can sometimes be a little tricky and this I know from experience however I think L’oreal may have mastered a foundation which has a high end formula with a drug store price so if your on the look out for an amazing foundation which won’t break your bank look no further. the cakey feel or look! love the formula it’s easy to blend and a little goes a long way allowing you to achieve a flawless look which honestly does last all day. Lorea’l have also launched a primer which is part of the Infaliable Pro Matte range which has been designed to be used prior to the foundation. This is a silicone like primer which works well however I do feel like it is not necessary to use this if your not a primer kinda girl. I have tried using the foundation both with and without it and found that the foundation lasted just as long with or without the primer. Having said that as it is a silicone based primer it works great at smoothing out your skin and leaving it silky soft making the application of your foundation a quick and smooth process. As to the primer whilst I like it and think its good quality product it is not something I love and don’t find myself reaching out for everyday. 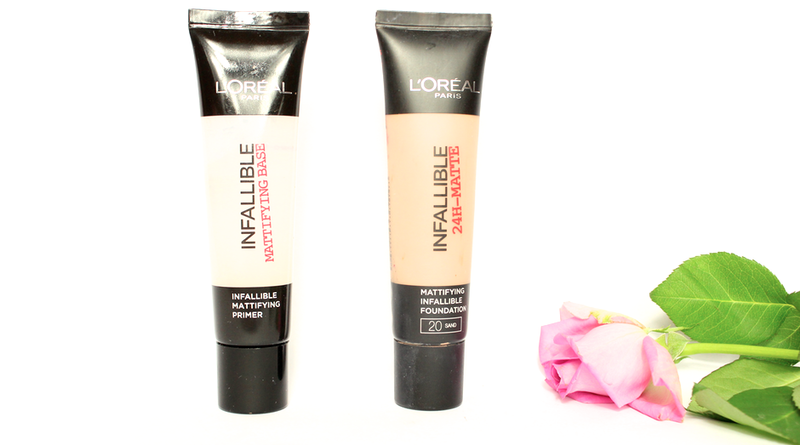 Have you tried the new Lorea’l Infallible Pro Matte Range?